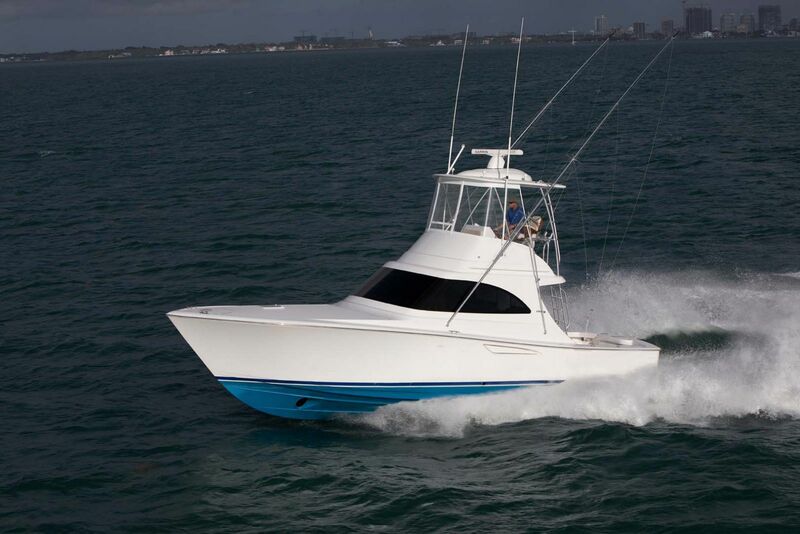 The first Viking Yachts 48 Convertible was originally launched back in 1985 and it didn’t take long for industry experts and anglers alike to grade it as best in class. 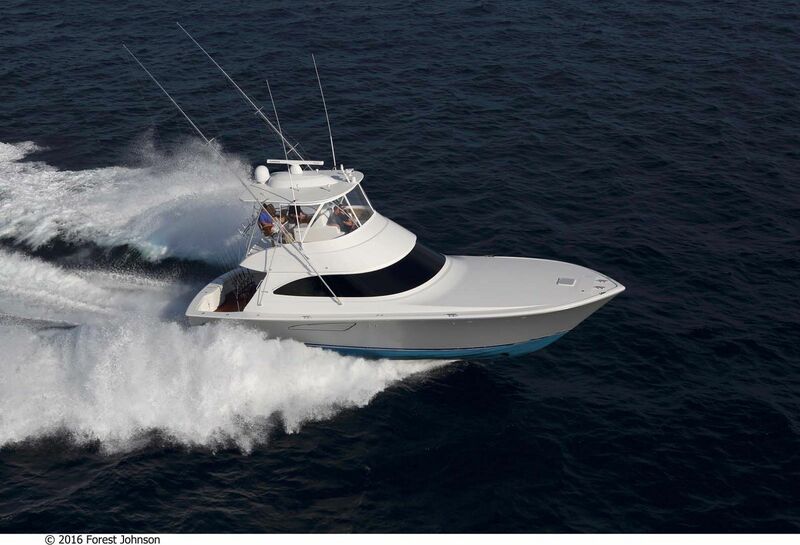 The popularity of the 48C back then gave it a five-year shelf life before a newer model was re-designed, but dozens of boats were built and sold in that time period. The 48 was known for its speed back then and it seems not much has changed in the current 48 Convertible. 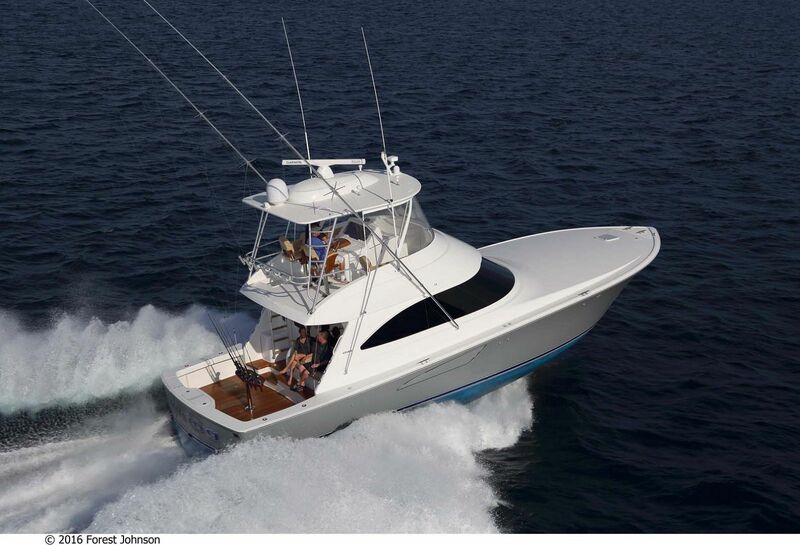 With a cruising speed of 30 knots and a top end speed in the mid-30 knot range, today’s Viking 48C is heads above its competition, even with the base engine package. 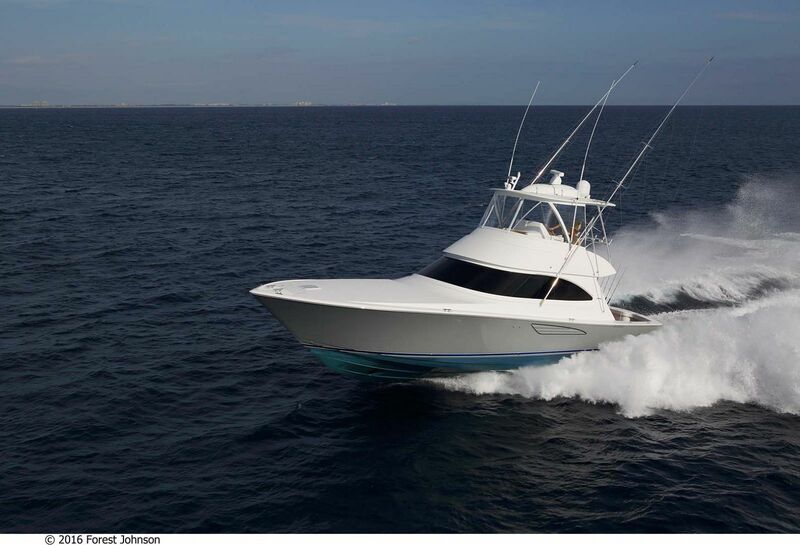 Owners have the choice of powering their 48 with the standard MAN V8 900CRM twin engines or opting to upgrade to either the MAN 1000hp’s or MAN 1200hps’s. 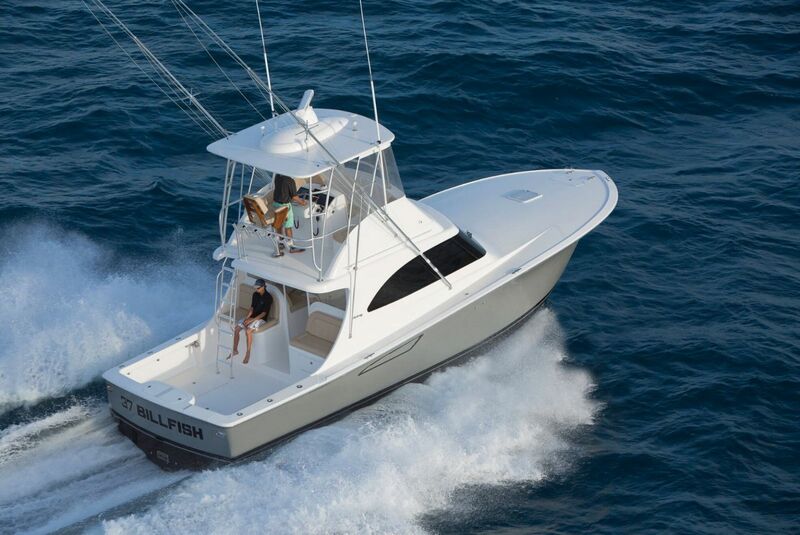 And with a fuel capacity of over 1,100 gallons, the Viking 48 will keep you fishing and cruising for as long as you can handle. 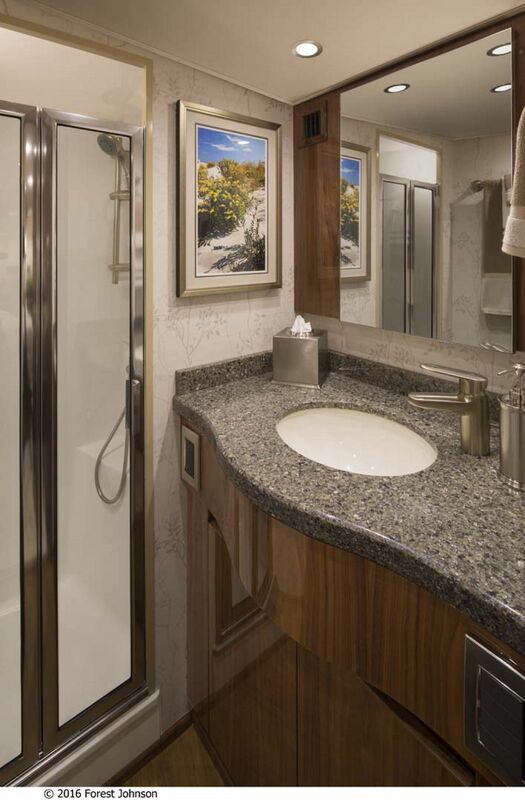 The interior of the Viking 48 is what you’ve come to expect from the team at the factory in New Gretna, New Jersey. 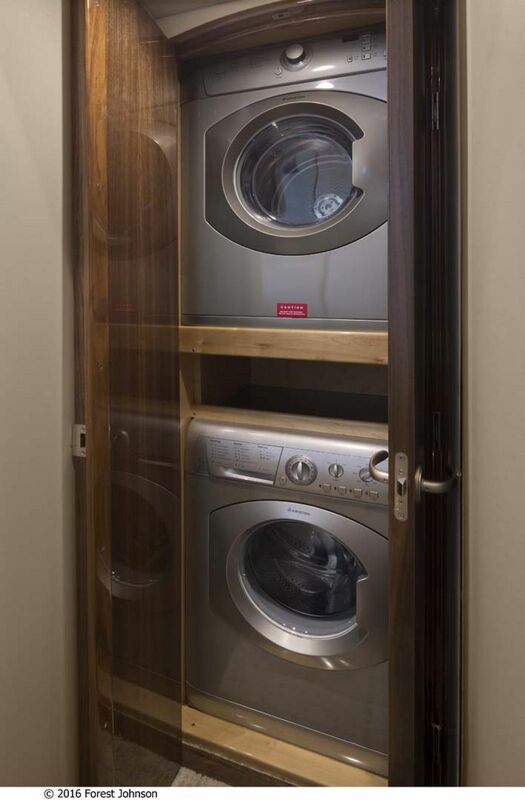 Because almost every component is made and installed in-house, every Viking goes through an excellent quality control process to achieve a consistent excellent result. 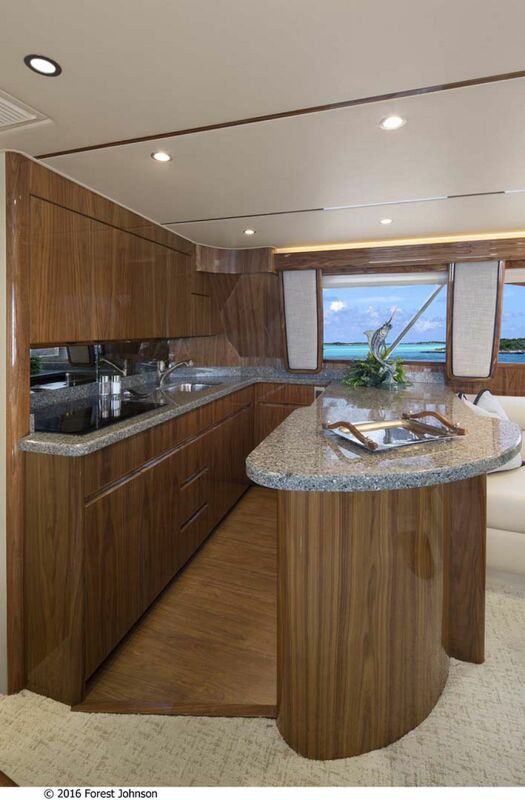 And because Viking has its own woodshop, you will find hand-finished teak or walnut joinery throughout the interior depending on the new owner’s tastes. 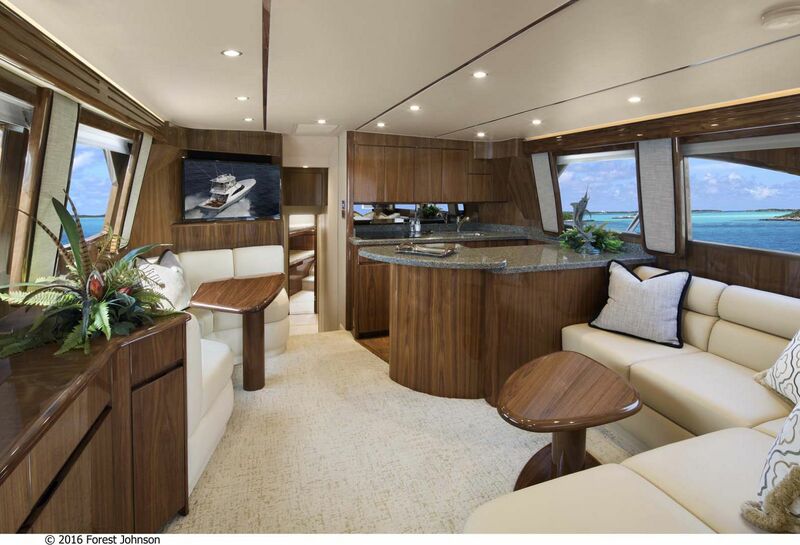 The salon features the signature L-shaped lounge and cocktail table as well as a dinette to seat everyone on board in the same area. 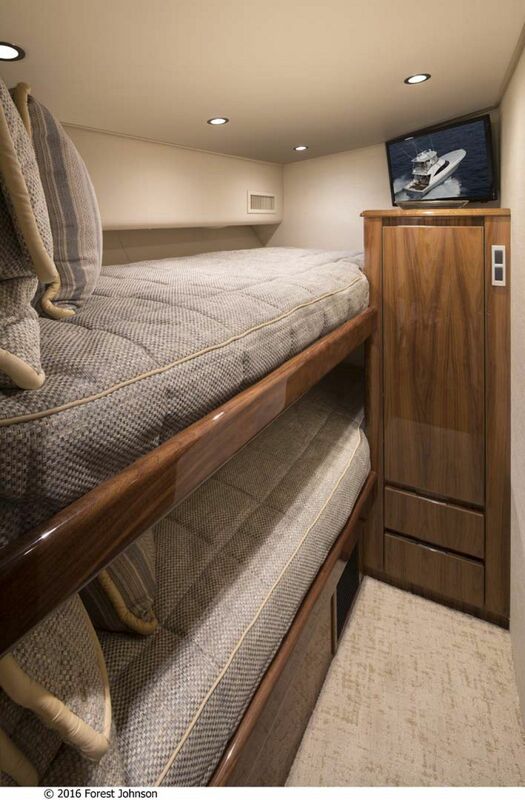 Are all of the guests on board for an overnight trip? 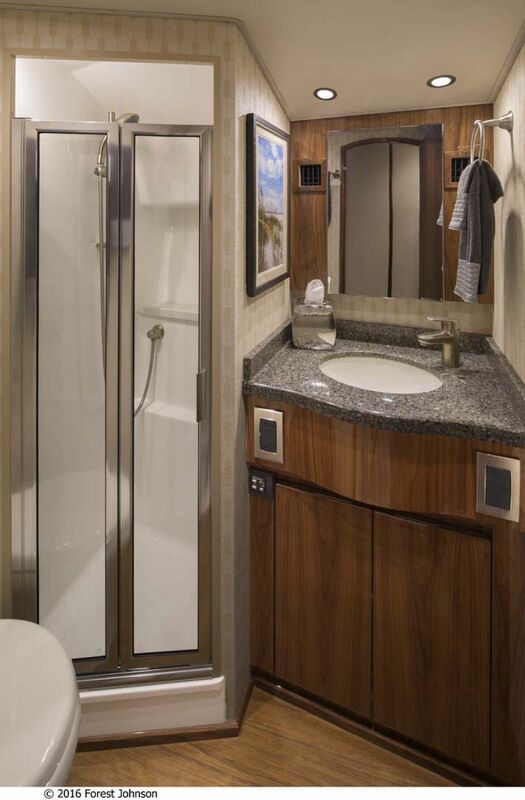 This is no problem on the Viking 48 as the popular layout offers three staterooms and two heads as well as additional comfort features like the laundry center and central vacuum. 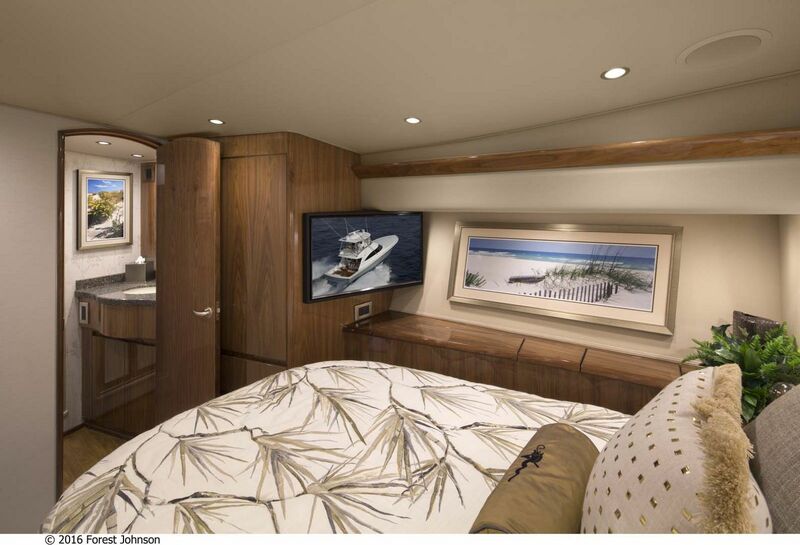 The Viking team aimed to make the cockpit on the 48 Convertible even better than its predecessor – the 46 Convertible. 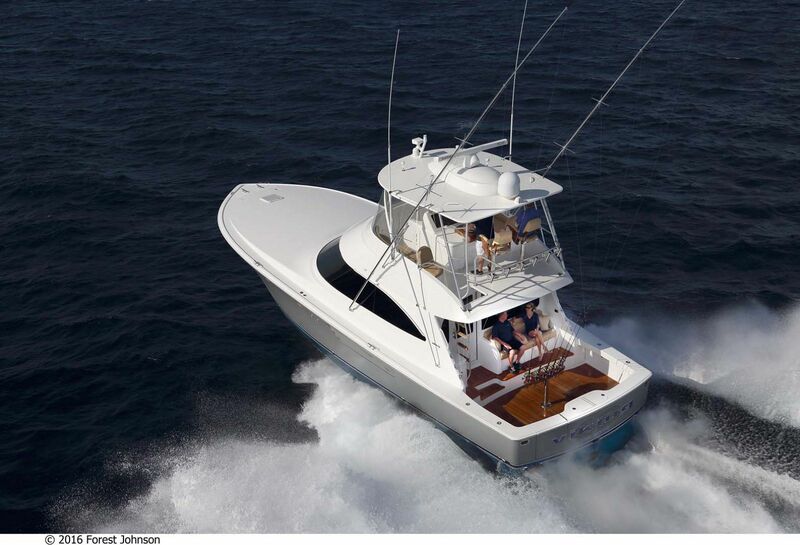 The cockpit on the 48C was increased to 124-square feet along with the space that holds the optional Seakeeper Gyro Stabilizer. 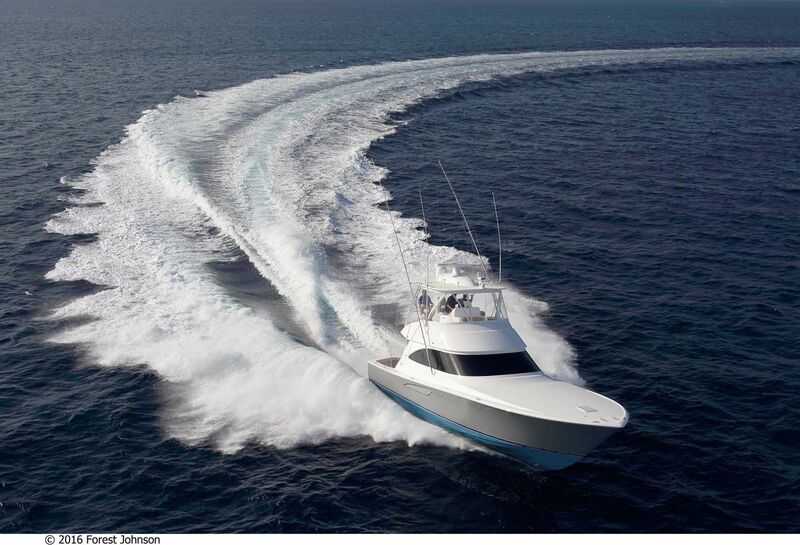 And like with all Vikings, there is an abundance of standard fishing features for the serious angler. 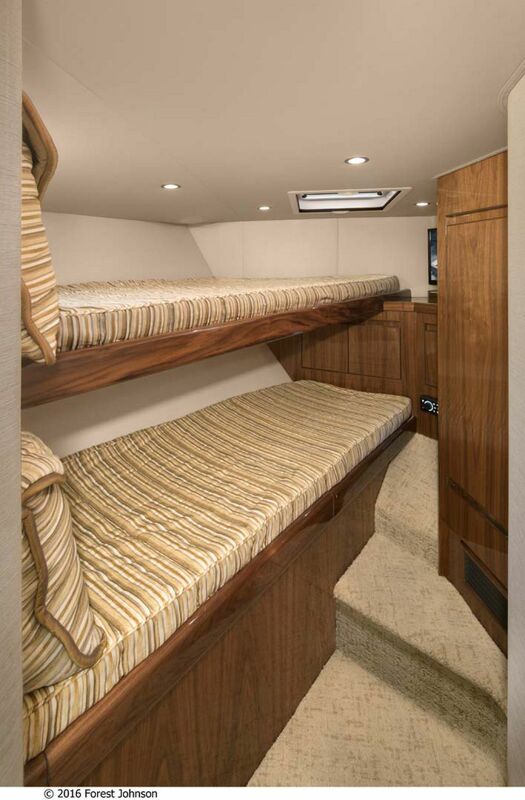 There are fish boxes laid out forward and aft along with an in-deck livewell with plumbing all ready to go. Even the lid to the livewall also serves as a cutting board when opened and can also be used as a rigging station. 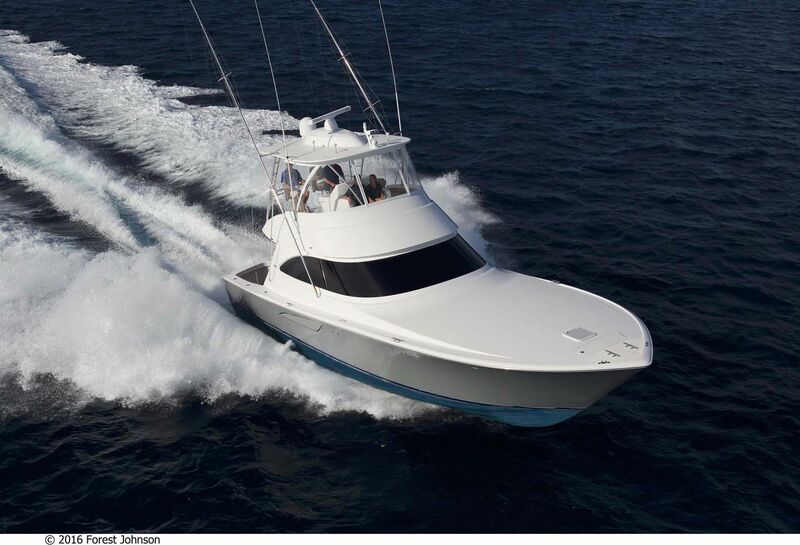 Viking company captain Ryan Higgins remarked about the cockpit on the 48C, “This is where it all happens on a fishing boat like this. 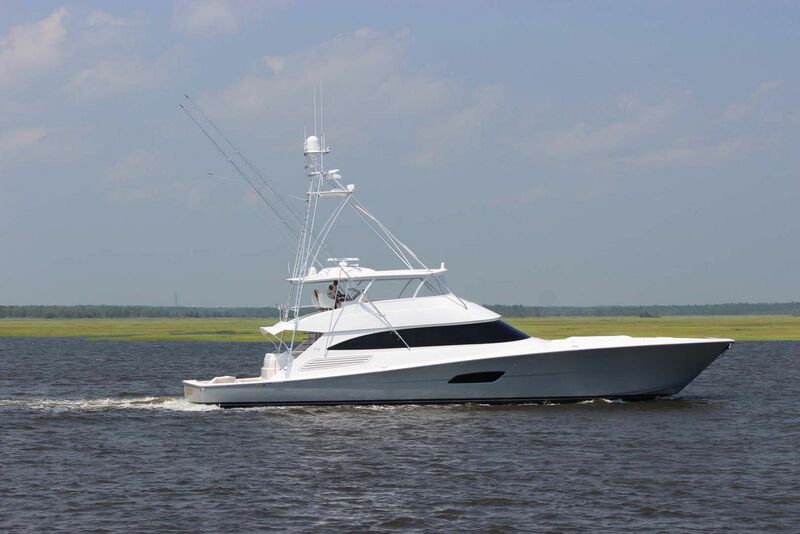 We made sure it happens in the right way once the boat is in the bite.” Whether you are looking to enter the billfish tournament circuit or just want to casually fish and cruise with friends, the team at Staten Island Yacht Sales can help you get into the Viking 48 Convertible of your dreams. 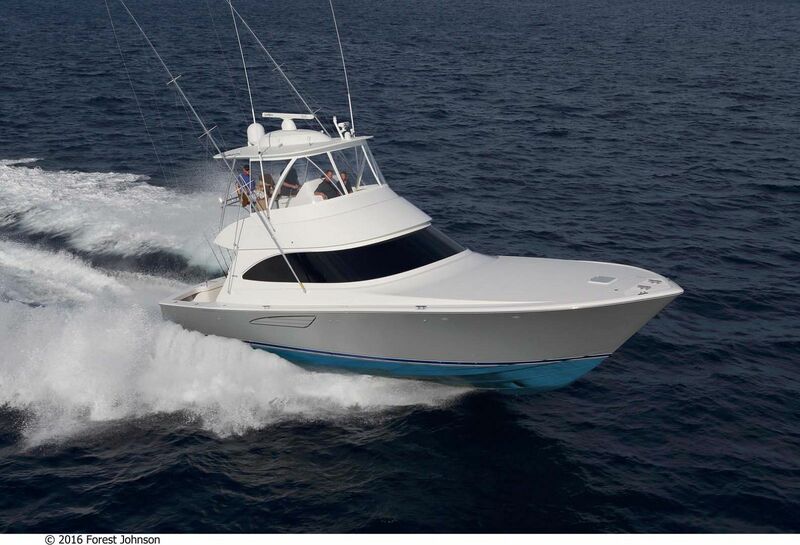 Marlin Magazine Reviews the Viking 48 Convertible. 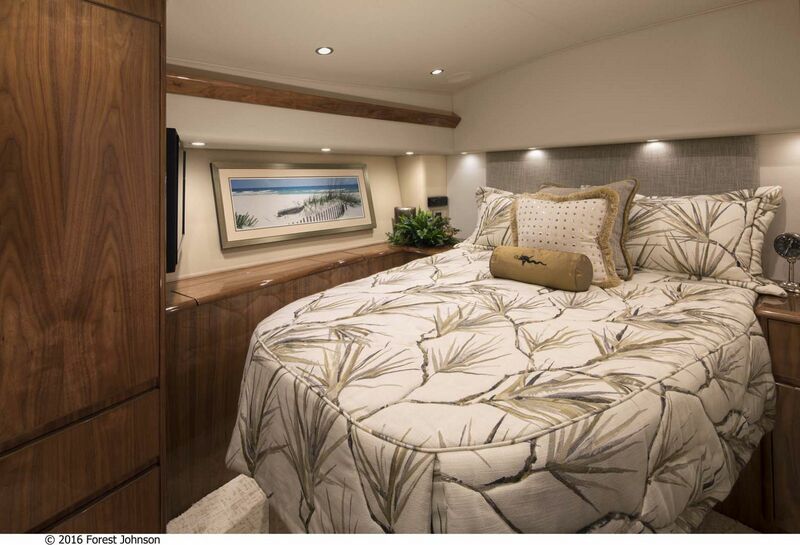 Power & Motor Yacht Editor Bill Pike reviews the Viking 48C. 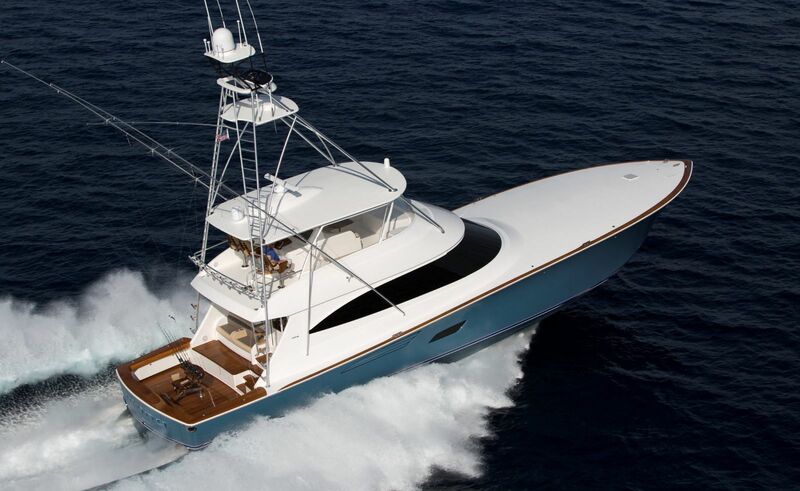 Viking Yachts released the official video trailer for the 48 Convertible.